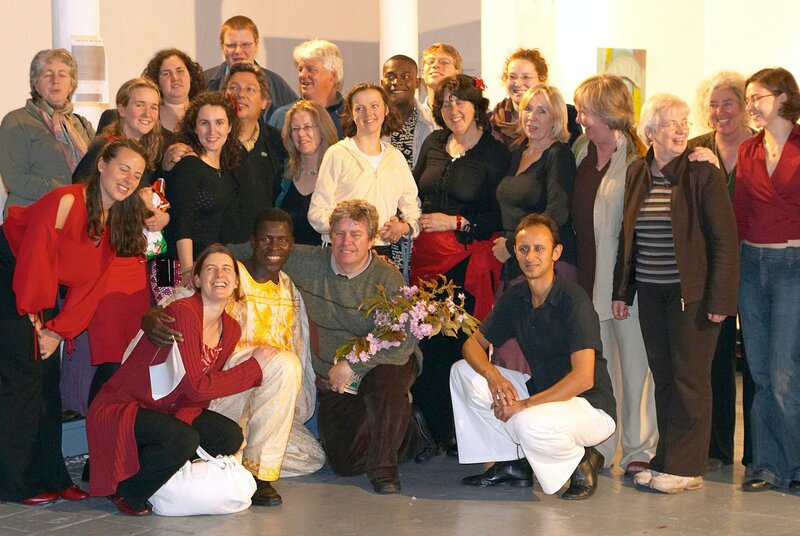 "Unity in diversity," the topic addressed at the conference, was the theme of an event hosted earlier this year by the Baha'i community of Cork as its contribution to the "European Capital of Culture 2005" program. People from 16 countries, some pictured here, attended the event, which included songs from the Dublin-based Townshend Baha'i choir, dramatic presentations, a salsa performance and lesson, traditional "canciones" ballads from Mexico, rhythmic melodies of Uganda, and Irish poetry. A member of the "Capital of Culture" organizing committee, Tom McCarthy, said the event captured the true spirit of the festival, uniting the hearts of the people who attended.